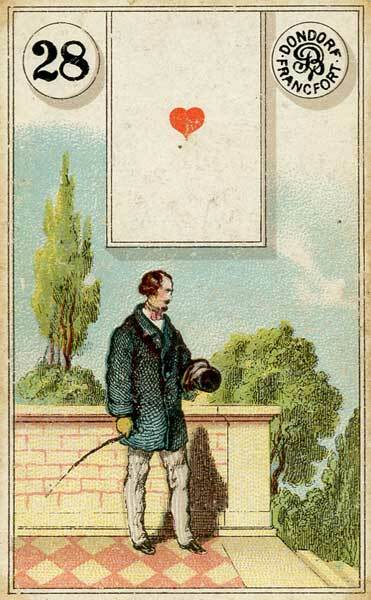 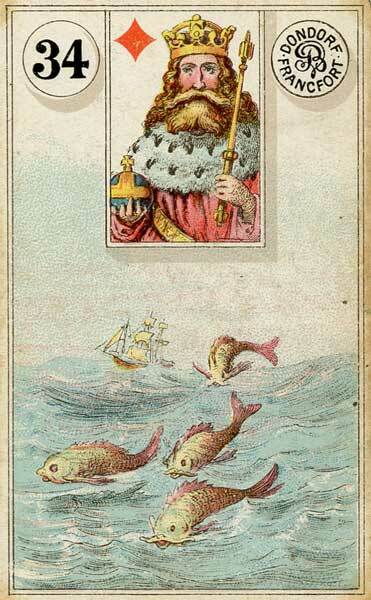 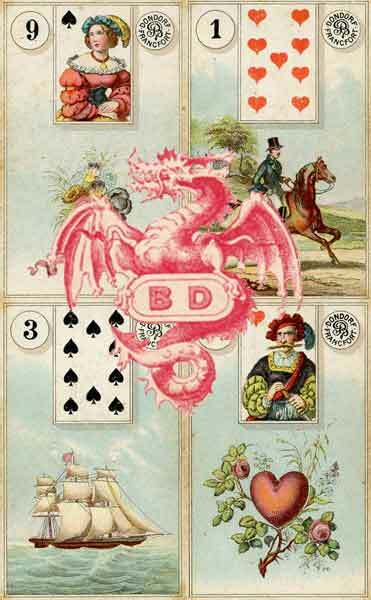 This antique Lenormand deck harkens from 1880 and was published by Frankfurt-based Bernhard Dondorf. 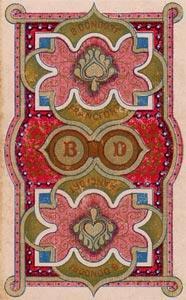 Dondorf was world-famous for producing high-quality cards using a special lithographic printing process, resulting in brilliant colors. 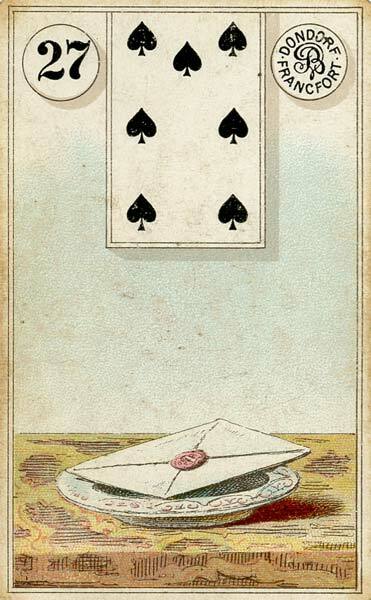 These decks remain heavily pursued by collectors. 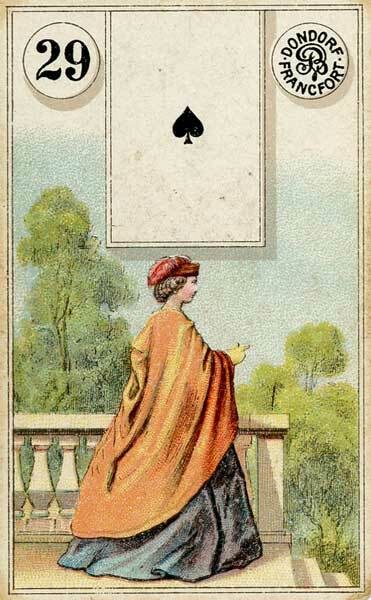 This particular deck was designed for Dutch export and came with a small instruction booklet, written in Dutch. 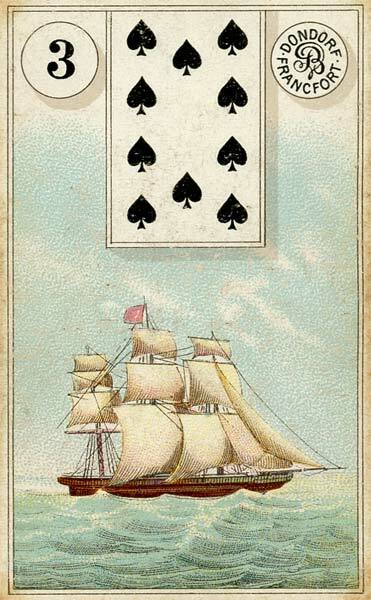 Export decks can be identified by the “c” in the “Francfort” on each card.